There are many things that people think should be free – with car parking being one of them. Especially controversial is paid parking at railway stations – but in Melbourne it has already started, with barely a wimper. Williams Landing railway station opened in 2013 with 500 parking spaces, with the surrounding area designed as a ‘transit oriented development’. But even before the station opened, transport links from neighbouring suburbs were flagged as inadequate. Being built at a cost of $110 million, a new railway station at Williams Landing will help fill a deep need for better public transport in Melbourne’s outer west when it opens in April. 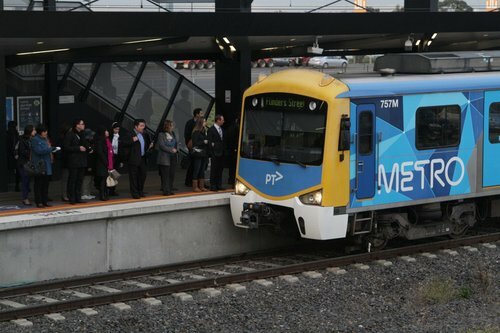 It is predicted that up to 1000 passengers will use the station each day in the morning peak, adding to the swelling commuter numbers on the crowded Werribee line. But some of those would-be commuters are wondering just how they will get to the new station, even as they look forward to its opening. Jammed local roads, infrequent and indirect bus services and a deficit of parking spaces mean reaching Williams Landing station will not be simple for the residents of Melbourne’s burgeoning western suburbs. Just south of the freeway is Point Cook, population 32,500 and growing, and to the north is the developing suburb of Truganina, home to 39,000. Closest to the station is the suburb of Williams Landing, a masterplanned suburb that will in future have 2500 homes but is today occupied by just 3000 people. Passengers flocked to the new station. A revamped network of bus routes serve the station, but are an unappealing option, given they get stuck in the same traffic that commuters are trying to avoid. As a result commuters stayed in their cars, illegally parking around the station. In recent months Wyndham City has started fining motorists who illegally park near the station. The council issued more than 900 fines last year. It also issued almost 1300 fines around Hoppers Crossing, the next station down the line. As well as creating their own unofficial car park in a paddock to the south. The government announced a ‘solution’ in July 2016. The Andrews Labor Government will build up to 150 new car parks for commuters at Williams Landing Station. The new spaces will be built on land between Wallace Avenue and Palmers Road, which is currently used as an informal car park. The area will be paved, so it doesn’t get muddy when it’s wet, and will include new lighting, signage and CCTV. Every new space is expected to be built and available to commuters by the end of next year. But property developer Cedar Woods, responsible for the neighbouring Williams Landing complex, offered their own solution. 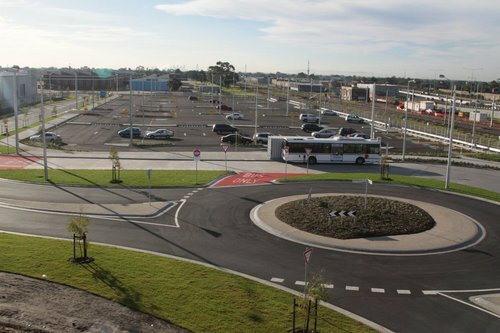 Parking woes at Williams Landing train station may soon be a thing of the past, with property developer Cedar Woods offering to help Public Transport Victoria find a solution. 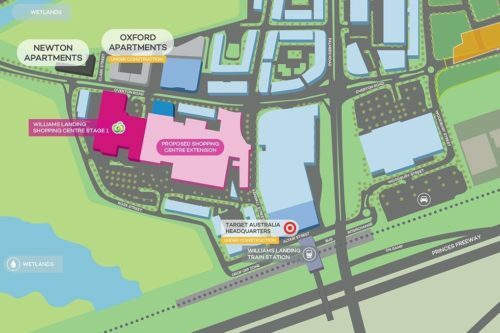 Cedar Woods development director Patrick Archer confirmed the company had proposed an interim commuter carpark to alleviate some of the stress experienced by commuters. “It’s up in the air at the moment,” Mr Archer told Star Weekly. “We’ve offered to extend our existing carpark at the shopping centre, leading down to the same street the carpark is on. As well as an operator of a commercial car park next door to the station. 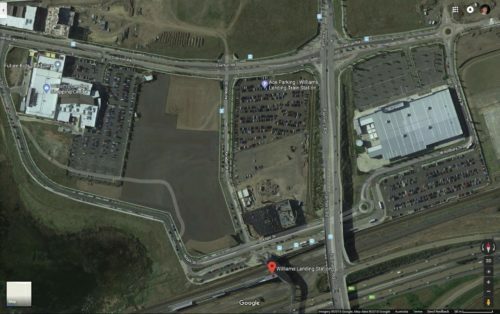 Great news for those battling for a parking spot each morning: a new commuter car park at Williams Landing train station will be operational as of tomorrow. A parking lot offering an additional 300 parking spots on Overton Road between Palmers Road and Kendall Street, adjacent to the train station, will be opened by Ace Parking as of 6am Thursday morning. Ace Parking commercial business manager Richard Curtain said the project had been in the works for more than a year, with a goal of easing the stress of commuters who are forced to walk up to 700 metres each morning and evening. “I started chasing this after seeing a media report about the lack of parking at the station,” he said. Mr Curtain said parking would be free of charge tomorrow, but a $2 fee would be introduced later this week, allowing cars for a 12-hour period. Said ‘car park’ was just a dirt paddock, with an advertised price of ‘just $2’. But that requires buying a seven day pass. Or buy a $12 for 5 Day Pass (valid for 5 consecutive days) – That’s just $2.40 per day – a saving of $3.00! Or buy a $14 for 7 Day Pass (valid for 7 consecutive days) – That’s just $2.00 per day – a saving of $7.00! Which explains the average one star rating on Google. Pay 4 dollars for the privilege of parking in a field, try to pay and none of the machines work. The parking machines don’t work most of the times. Today out 4 parking machines only 1 worked resulting into big lineups. Missed 2 trains due to this. Transforms from parking area to Lake in no time, Forget about the entrance , half your car tyres are entirely under water. Muddy and water pools during rain and lots of dust on dry days as its just crushed rock and dust. To our wonder, the ticketing machines take money and don’t give out tickets many times and this is always there. No marked lines. I can’t believe anybody would pay to park here. It’s full of pot holes, rocks and mud. If you do have to park here, avoid doing so on a day expecting rain or you might not get your car back out. I wish I could vote negative stars because it’s ridiculous that they should charge for parking here. There’s a massive, massive pit right at the entrance and the ground is unpaved, so after a rainy night the pit at the entrance becomes a pond and the ground is all muddy. There’s no light source of any kind in the car park itself, because what’s better fun than trek through the muddy ground under the moon light? With the construction of the Target head office building north of the station, this car park has since closed, replaced by a nicer gravel car park on the other side of the road. A sea of car parking forever? the ‘official’ railway station car park to the bottom right. 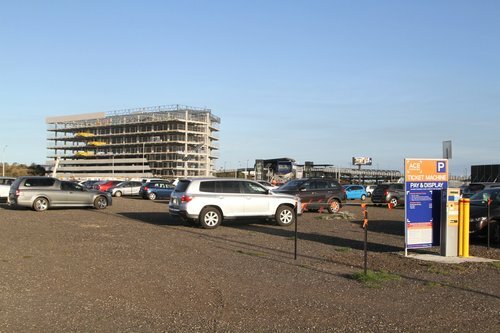 The recently upgraded 150 space ‘official’ car park is located on the south side of the freeway. But the masterplan for the Williams Landing will see a mix of office and retail developments north of the station, joining the Target Australia head office currently under construction. Hopefully some bus priority measures are put in place soon, as continuing down the same car dependent path is not going to work. Philip Mallis has created the Melbourne Train Station Carparks Project – it shows how many parking spaces there are at each railway station in Melbourne. 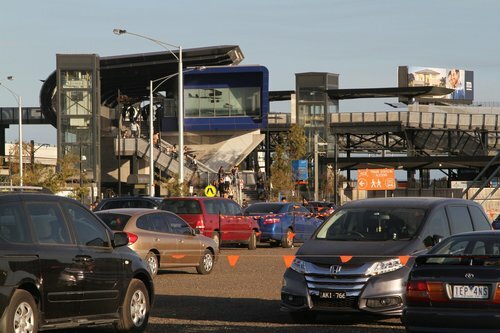 Back in 2013 Daniel Bowen took a look at the pros and cons of paid railway station parking in Melbourne, while in 2016 Alan Davies examined alternate options to expanding station car parks. Donald Shoup’s 2005 book ‘The High Cost of Free Parking‘ provides a background to the side effects of not charging for parking, while Reinventing Parking looks at ways of addressing it. Unfortunately there has already been a half-arsed bus lane recently installed on Palmers Road. It’s northbound only, and ends before the Skeleton Creek bridge, well short of the freeway interchange. I fear that that has ticked the bus priority upgrade box in the State government’s eyes for now. And at a cost of $6.71 million!